Mandatory country club membership required to join. Beautiful 2 story single family detached pool home has 4BR/3.5BA with a 2 car garage. Located in the country club community of Boca Grove Plantation. 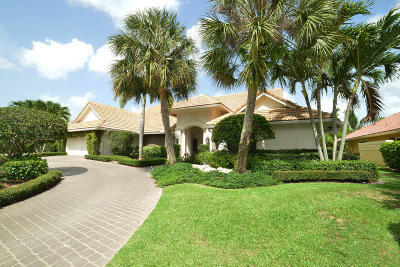 Enjoy Florida living at its best, beautiful golf and lakes views from your home. Close to schools, shopping, fine dining and the Florida turnpike. Plenty of space for the whole family to enjoy. Ample windows that allow all the natural light in. Open concept floor plan with high vaulted/volume ceiling, decorative tile flooring and windows. Kitchen has granite countertops, cook island, ample cabinetry. Beautiful out door under roof patio with view of pool and fenced in backyard. Roof replaced in 2018.